As you guys know, I'm addicted to hair accessories, especially pink ones. Sooo, I did a little scream of happiness when I came across Emily and Angus on Etsy. This store produces the most beautiful hair accessories, handmade in Scotland. I received the most pinkest, prettiest package ever this morning. My hair ties were packaged in pink polka dot bags in a big padded envelope so it was all kept nice and safe. 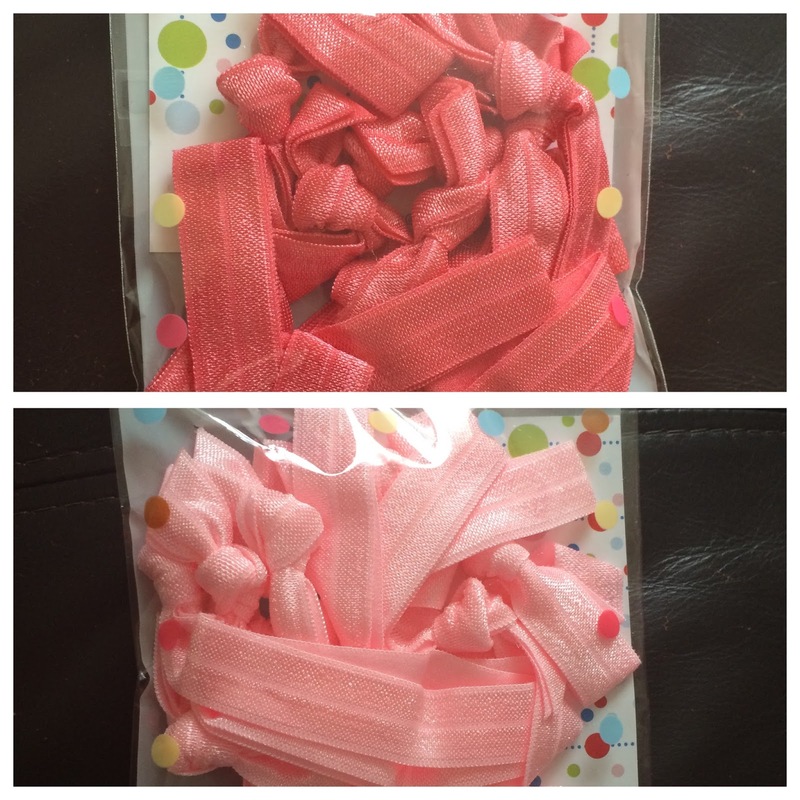 I ordered some Watermelon Knotted Hair Ties and some Pink Knotted Hair Ties. These are so vibrant in person, the colours are beautiful and I love them so much. They look perfect in my hair and I'm going to enjoy wearing them - the quality feels great. In terms of prices, it's 10 for £5 so that's pretty amazing value. You'd be hard pressed to get quality like this from the High Street for that price! I also received a couple of Neon Pink Knotted Hair Ties and 2 Alligator Clips with cute designs. It's hard to actually pick up on camera just how bright those neon ones are! They're soo fab. Definitely check out Emily and Angus on Etsy if you're into cute hair ties like me! They sell a tonne of different hair accessories in so many colours and designs.